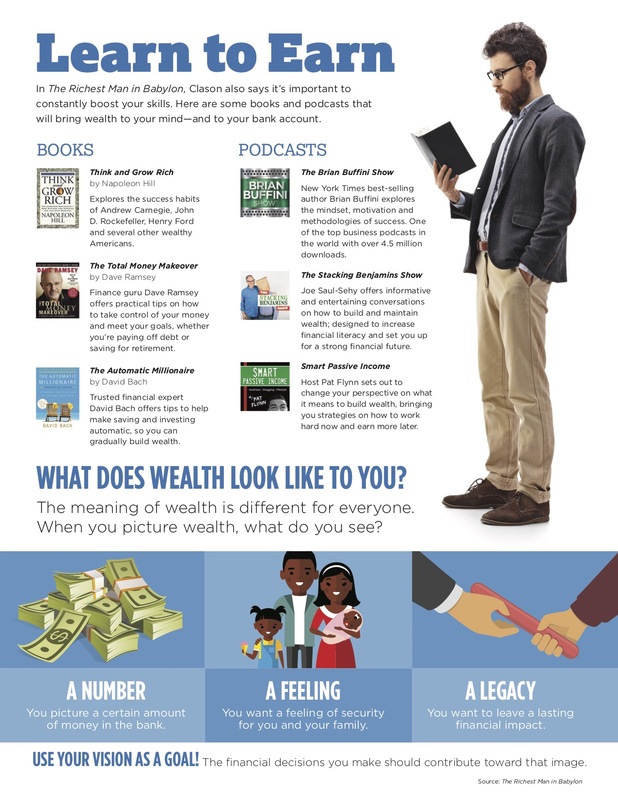 This month, I’m sharing information that outlines principles of wealth from a book displayed on every entrepreneur’s shelf: The Richest Man in Babylon by George S. Clason. 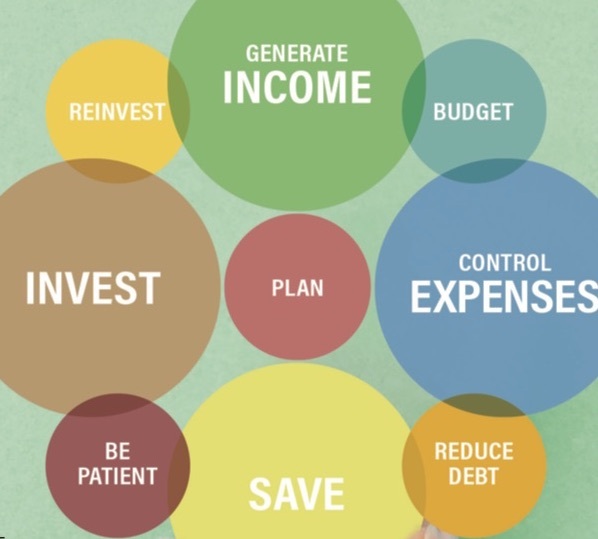 This book offers practical advice to develop smart money habits. 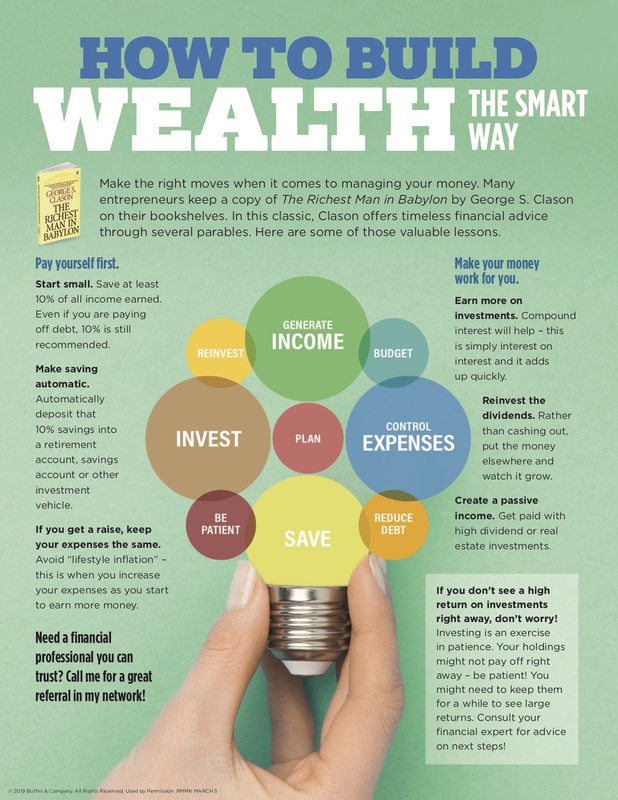 Also listed below are some helpful books and podcasts to complement your financial journey.